I will start off by telling you how much I LOVE Origins! Their skincare has always worked for me and so far I've never had a bad experience with any of their products. In the past 18 months I haven't had quite as much Origins in my skincare routine, why oh why I ask myself! Recently, my skin has become more troubled than usual, so I decided it was about time I reintroduced Origins to get this mess sorted out. You all know by now that I'm skincare obsessed and one of the key ways to keep your skin in tip top condition is to simply use SPF, the one thing I don't really use, typical! I've fallen in love with this new tinted moisturiser and I can't wait to tell you why. Calling all caffine lovers 💬 If you're like me and love your coffee, then you'll be happy to know it's the key active ingredient in this tinted moisturiser. Recommended for dry, normal and oily skin this product is probably the most effective way to keep your skin hydrated, energised and protected. Coffee Beans and Panax Ginseng give your skin a boost of moisture and zing, whilst an impressive SPF40 protects your skin from harmful UV rays. I've had this product for a little while and after my recent vacation to Dubai, I wasn't quite sure how to fit this into my routine despite really liking it. I've always had this thing in my head that SPF doesn't work with make-up, but actually I think that's just something I've made up in my head!? Plus wearing SPF is 10x more important in the long run than wearing foundation anyway. 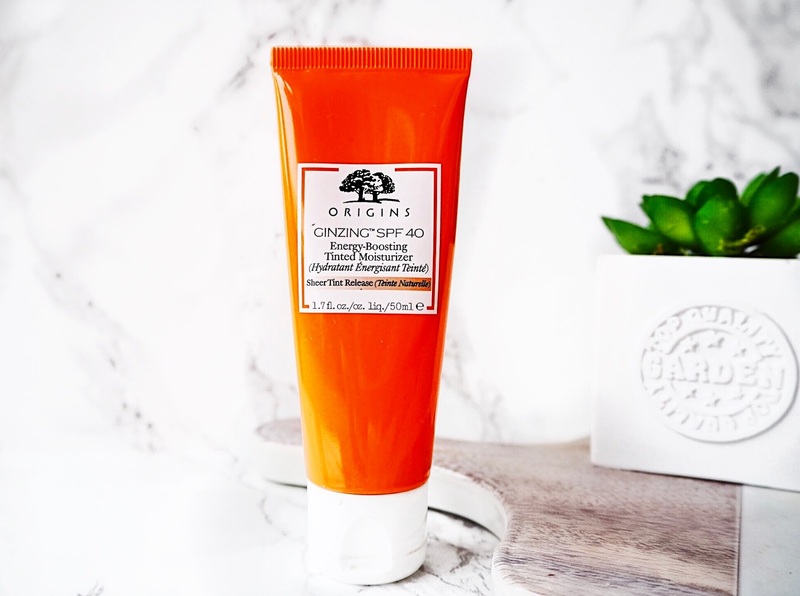 The Origins Ginzing Energy-Boosting Tinted Moisturiser (£30) has replaced my current Clinique moisturiser and I love how I get moisture, SPF and a subtle tint all in one product. It makes getting out on time in the morning easier, plus you're left with a lovely youthful glow that doesn't interfere with your make-up. I love this stuff.